Summary: Demonstrates the core values of honesty; integrity and loyalty. Assists in packing, moving, cleaning and storage activities by performing the following assigned duties. 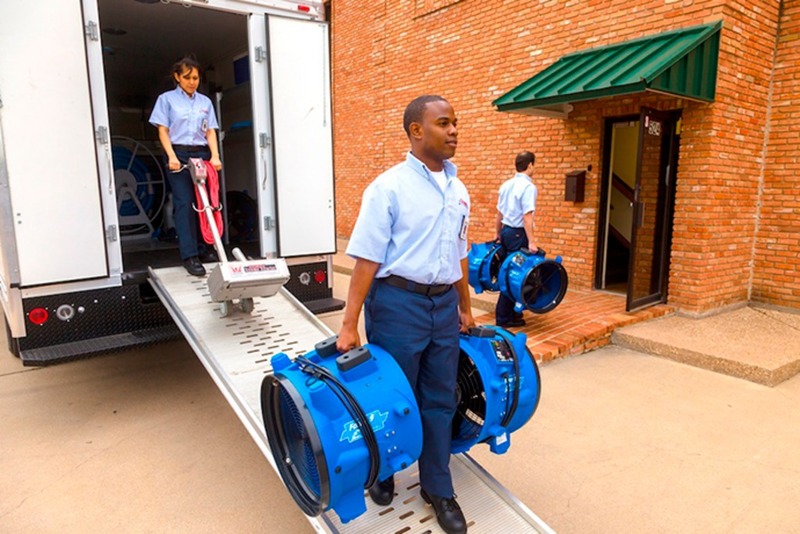 Ø Loads and unloads materials, packing supplies, equipment, cleaning supplies, household goods and furniture onto or from trucks, vaults and racks. Ø Cleans and deodorizes contents using prescribed products, methods and equipment. Ø Packs customers’ contents/personal property into boxes as needed for safe transport or manipulation. Ø Wraps customers’ contents/personal property in furniture pads, paper pads, or foam pads as needed for safe transport. Ø Properly mixes and works with cleaning products in a safe and appropriate manner following all manufacturing directions for use and using personal protective gear as required. Ø Operates all tools and equipment in a safe and professional manner. Ø Acts in a professional and courteous manner in all work environments, including but not limited to, the customer’s home, places of business, and the warehouse. Ø Cleans around all work areas, and maintains a clean work station. Ø Disposes of all cleaning debris in a safe manner, following manufacturer’s directions. Ø When tasked as a driver of a company vehicle the Crew member will inspect the vehicle prior to its use, for safety issues in transporting goods and materials, and un-safe operation issues. Ø Immediately reports any and all damage to customer’s contents/personal property to a supervisor. Ø Immediately reports any damage or malfunction of equipment and/or company property to a supervisor. Ø Immediately reports any and all safety concerns to a supervisor. Ø Follows prescribed inventory and tracking procedures as defined by the Contents Project Manager. Ø Respects and handles customer’s contents/personal property in a professional manner. Ø Respects all team members, and works as a team towards a successful completion of assignment. 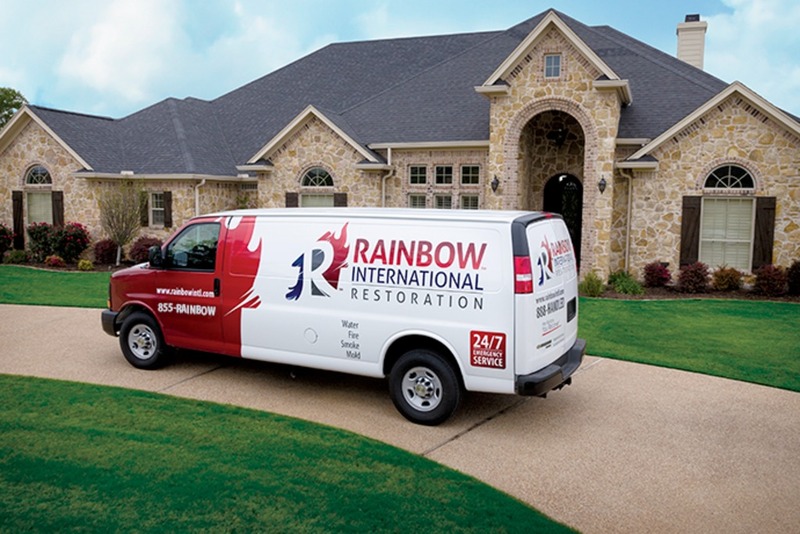 Follows policies/procedures for personal appearance; maintains a clean, well groomed personal appearance; arrives on site on time and ready to begin work assignments; completes all administrative tasks correctly and on time; support’s company goals and values; represents Rainbow International in a professional way in all outside activities while wearing the Rainbow Uniform and/or driving a company vehicle. Shows up on time for all work assignments; follows instructions/directions given by Project Manager; respond positively to management directions and decisions; takes responsibility for own actions; keeps commitments; completes tasks on time and immediately informs supervisor if and why there will be a delay. Displays a willingness to make decisions; supports and explains reasoning for decisions; exhibits sound and accurate judgment; includes appropriate managers and team members in decision-making process; makes timely decisions; reflects on cost and time management when making decisions. Prioritizes and plans work activities focusing on using time efficiently to complete the assigned task; organizes and/or schedules other people to help complete assigned tasks; develops realistic action plans. Demonstrates accuracy and thoroughness on the job; monitors own work to ensure quality; is conscious of costs related to work not performed correctly; Looks for ways to effectively improve quality and cost effectiveness. Applies feedback to improve performance; Monitors own work to ensure quality. Meets productivity standards; completes work in a timely manner; strives to increase productivity; works quickly. Observes safety and security procedures as outlined by company policies and procedures; determines appropriate action beyond guidelines if an unsafe condition occurs; reports potentially unsafe conditions to supervisor; uses all equipment, chemicals, and other materials properly.